The Importance of Travel Insurance - Lanes Insurance Inc.
We all work very hard to be able to afford a nice vacation, and there’s a lot of planning that goes into making the most out of time away. But a lot of us tend to forget what should be an essential part of vacation preparation. Travel insurance is imperative if you’re going to be headed out of Canada for a trip. It should be purchased no matter where you’re going and how long you’ll be away. Extremely affordable for the amount of coverage it provides, travel insurance can safeguard against a number of different situations — not just health-related. And best of all, it’s very simple to purchase. Before you leave, contact us to set you up with a travel insurance policy that will ensure your vacation goes as well as it possibly can. The number of things that can go wrong on a vacation are myriad. There are tons of ways we can hurt ourselves, from something as simple as cut incurred from something at the beach that requires a tetanus shot and stiches, to something as serious as a major car accident resulting in injuries. Since planes and hotel rooms can be filthy, there’s also a good possibility of getting sick, and food poisoning is always a risk as well. First and foremost, travel insurance will provide for a wide range of medical services that provincial insurance plans will not when you are out of Canada. Many do not realize that provincial health care plans will cap out at $100 per day of coverage for a hospitalization, and only provide for $50 a day for outpatient services. Especially in the U.S., this is simply not enough. Additional benefits provided by emergency medical insurance include the return of baggage, return of a travelling companion, return of children, the return of an accompanying pet, and transportation for your family. Washing your hands and using hand sanitizer often. Drinking bottled water only, and drinking lots of it. Ensuring food is fresh and thoroughly cooked. You may want to avoid salads, buffets, and fruits and vegetables you haven’t washed or peeled yourself. Getting all the proper vaccinations. Wiping down trays on airplanes and all hotel room surfaces with an anti-bacterial wipe. Accidental death and dismemberment: Will provide reimbursement to you in the case of an accidental dismemberment and reimbursement for your family in the case of accidental death. Flight delay and lost baggage insurance: Protect yourself against financial losses resulting from delayed or cancelled flights and lost personal items. Coverage typically includes reimbursement of out-of-pocket expenses if your baggage is delayed for a certain number of hours, or replacement of clothing, toiletries, or important documents such as your passport or drivers license. Trip cancellation and interruption insurance: You never know what life will bring. Trip cancellation and interruption insurance will reimburse you for your costs if you have to cancel, delay, or cut your trip short at the last minute. Rental car damage waiver: Renting a car can come with all kinds if nickel-and-diming for everything from fuel surcharges to tourist taxes. Many rental companies will also charge up to $50 extra for a damage waiver. The rental car damage waiver available through travel insurance will give you the same protection as the rental car company at a fraction of the cost. Optional sports coverage: Optional sports coverages include contact sports coverage, adventure sports coverage, extreme sports coverage, and excluded activities. To simplify your travel insurance, you may want to consider an all-inclusive holiday package, which includes emergency medical insurance, trip cancellation and trip interruption insurance, accidental death and dismemberment insurance, and baggage insurance. Already Have Travel Medical Insurance? 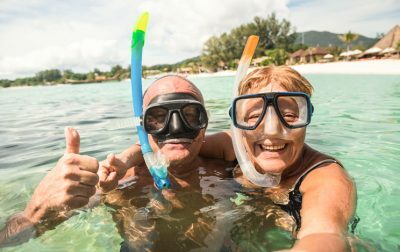 If you already have travel medical coverage through another plan, a non-medical travel insurance package may be the way to go. This package includes trip cancellation and trip interruption insurance, accidental death and dismemberment insurance, and baggage insurance. Travel Insurance in Calgary: Get a Quote From Lane’s Today! Lane’s Insurance is a leading provider of travel insurance and a complete range of related products that cover every aspect of your travel needs. Visit us online today to get a fast, free quote on your travel insurance.